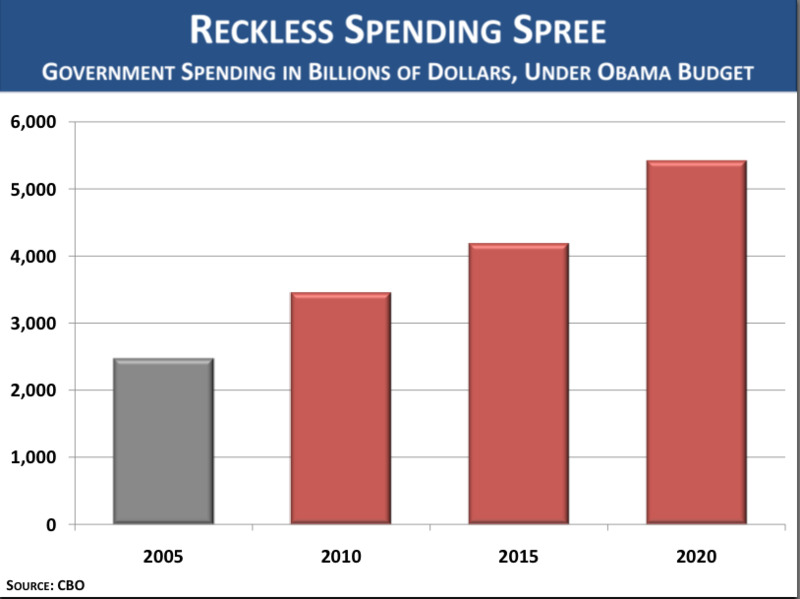 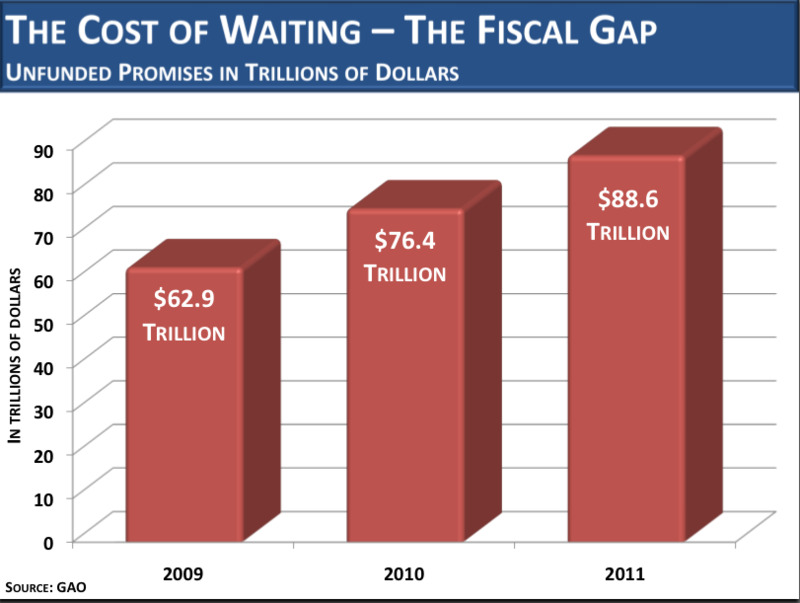 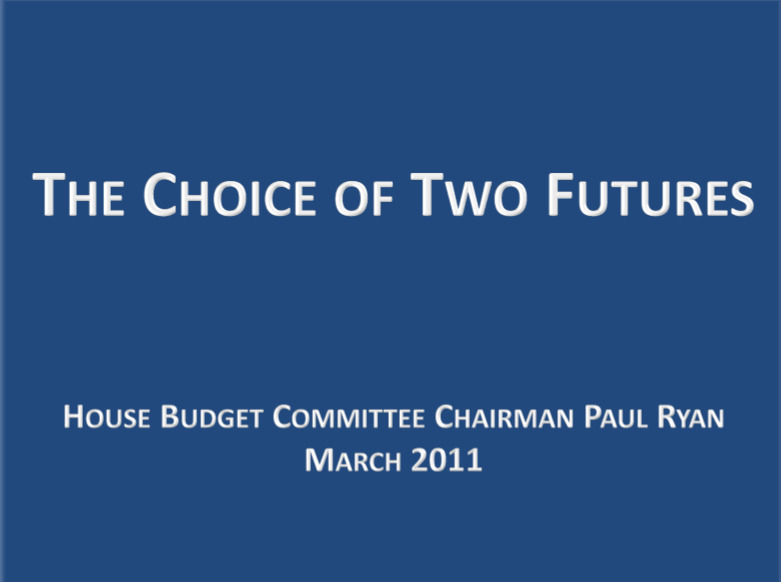 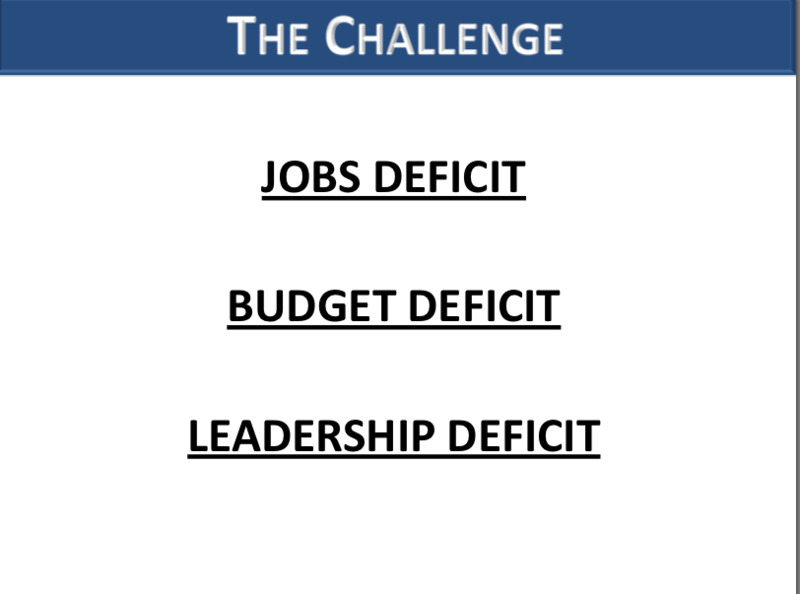 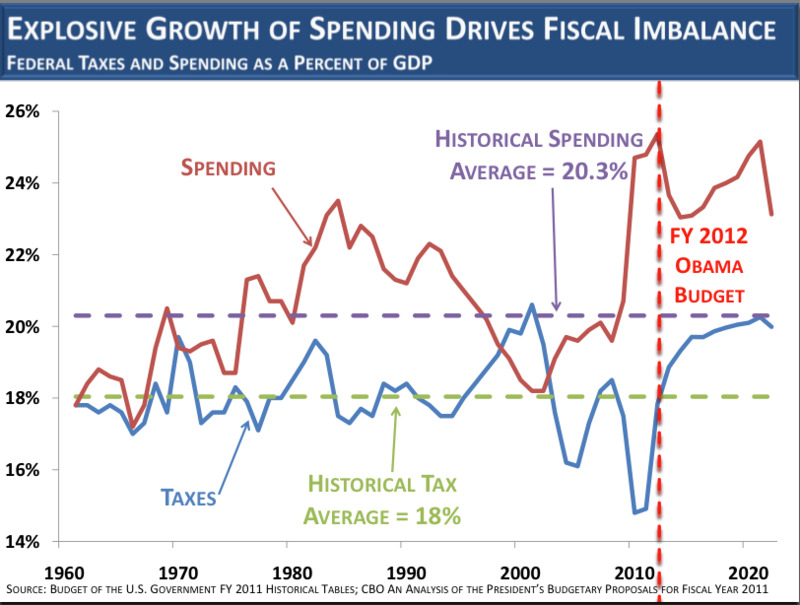 Wisconsin Congressman Paul Ryan has been using this presentation to persuade colleagues that dramatic action is needed to cut the deficit. 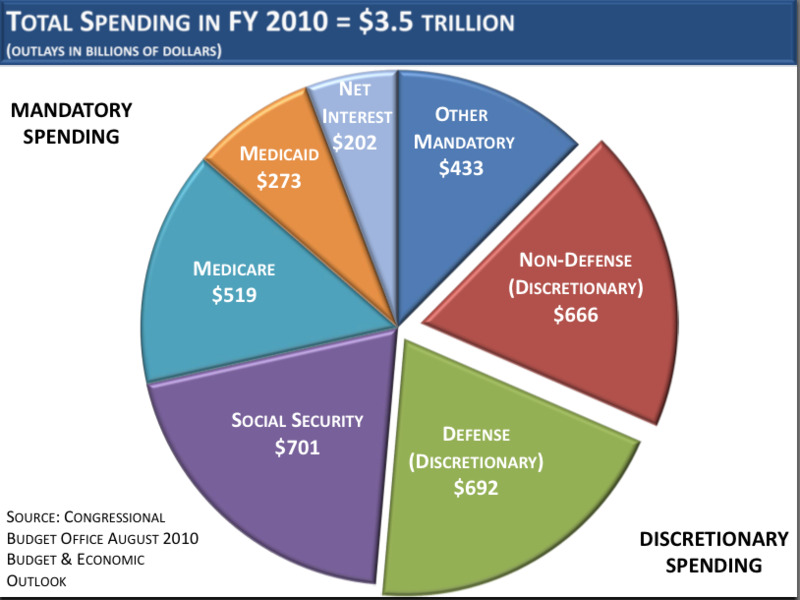 Ryan, the House Budget Chairman and lead debt warrior of the GOP, warns of a budget that will more than double from 2005 to 2020, reaching $5.5 trillion. 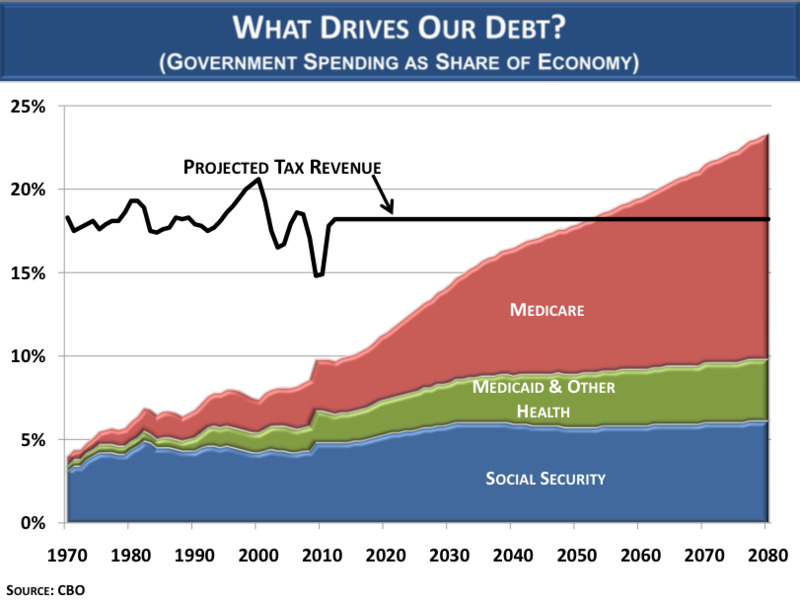 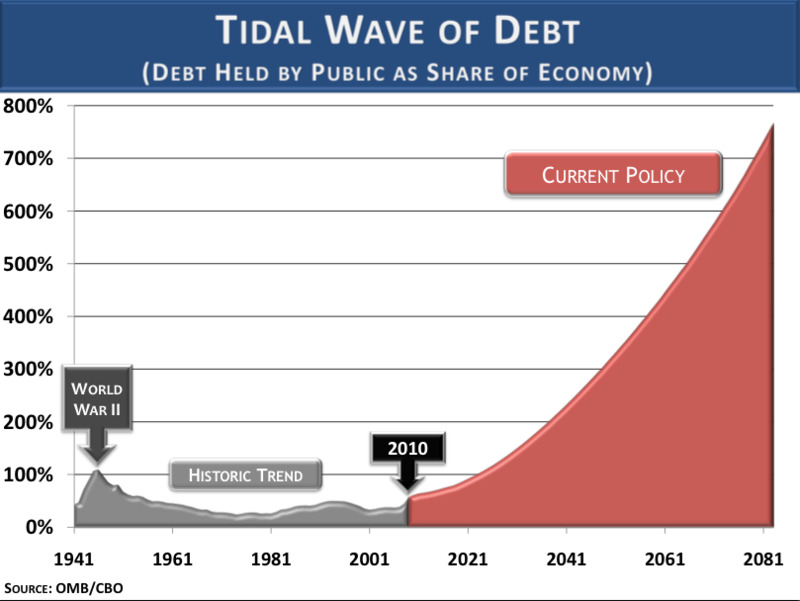 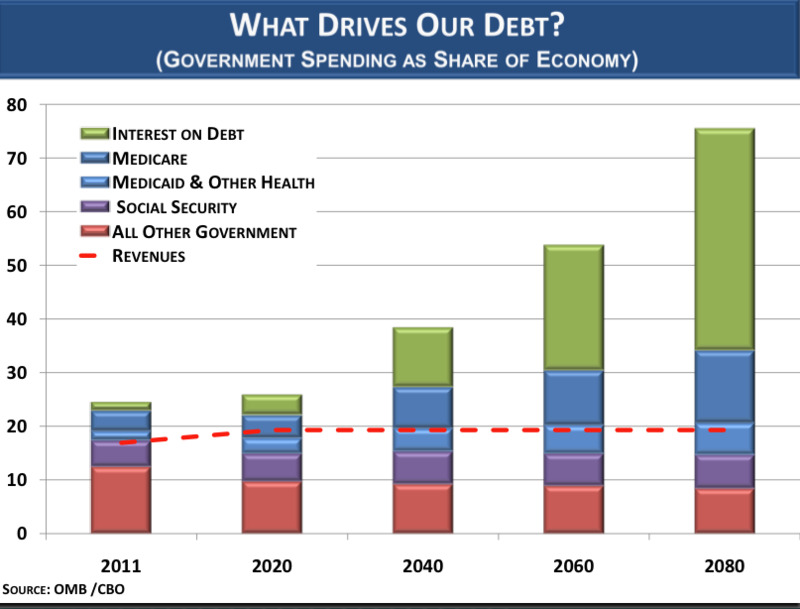 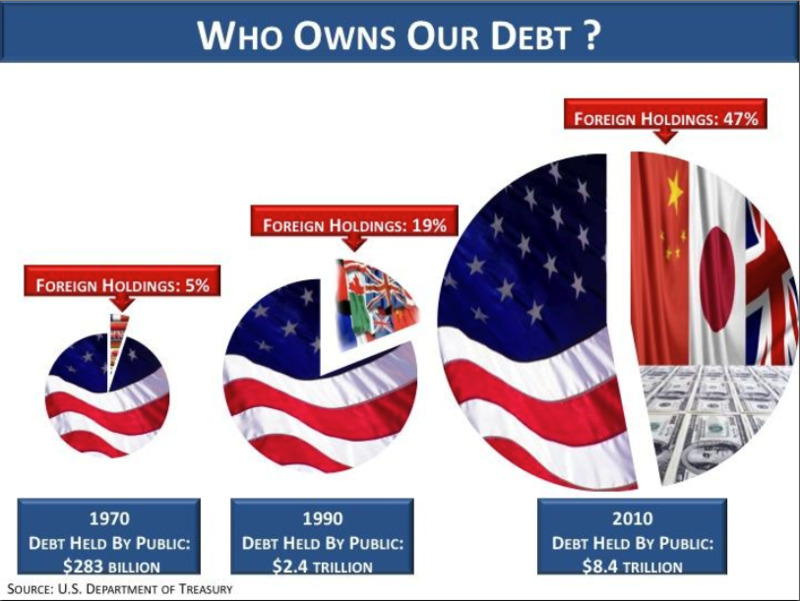 By 2080 the budget will reach 75% of GDP, dominated more than half by interest payments on debt. 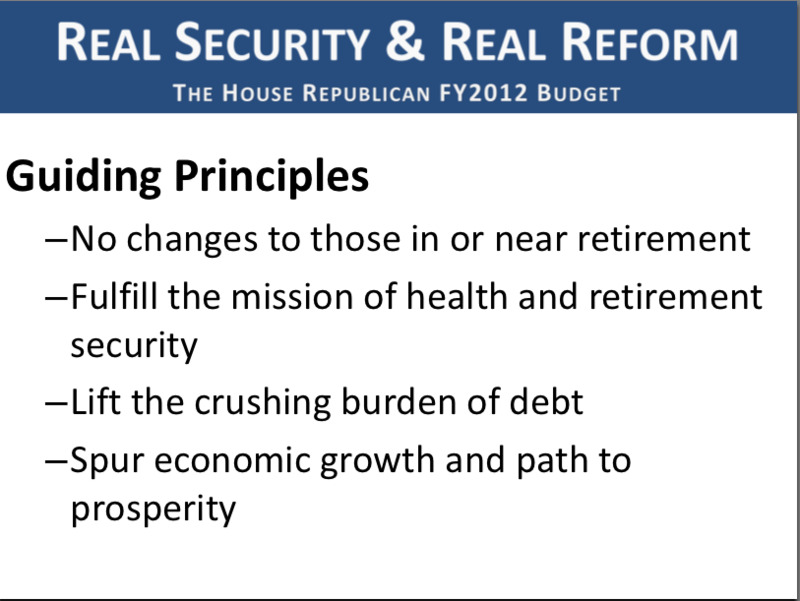 Ryan supports curtailing Social Security benefits and converting Medicare to a voucher system.